How to take God’s breath away. I remember hearing her say that and feeling my heart stop in startled recognition of the power of her statement. I remember feeling caught off guard, surprised, and fascinated. Since writing the original post my awareness of and awareness in our human magnificence has grown. My understanding of and compassion for how we all do things to hide from, shy away from, pretend it doesn’t exist and thus run-away from our magnificence, has also grown. We try to kill it, destroy it, tear it out and rip it up into a thousand pieces. We try to bomb the hell out of it. Massacre it. Shoot it up and blow it up. We think it may be true for others, and worry it will never be true for us. We worry that to be our magnificence will only encourage others to pull us down, and so we hold ourselves down, and back, from being our true selves. But no matter how hard we try to avoid it or make it not true, there is no avoiding the truth. We don’t have to do anything to ‘deserve it’. Earn it. Create it. Make it. It is not more true for one of us and less for another. It is the same for all of us. It is our human birthright. Our soulful essence. Our truth. And while we humans may do a lot of things to try to pretend we are not magnificent, or to avoid the truth of our magnificence, or to not be accountable for our magnificence, there is no way to destroy the essence of our soulful truth — We are magnificent. No matter what God we worship before or not, what belief we hold about our spiritual nature or not, what story of origin we breathe into or not, the truth is — We are magnificent. Which means, the answer to “How to take God’s breath away” is simple. BE YOU. Which means, it’s time to stop trying to destroy the truth about who you are. It’s time to stop trying to remember ‘why’ you’re magnificent (there is no answer to the ‘why’ – you just are magnificent) and start breathing life into the miracle of all that you are when you accept the truth. And because you are you, you take God’s breath away, just the way you are. Beginning. Middle. End of the story of your life. Categories: Essential Journey | Tags: being magnificent, our soulful essence, you take god's breath away | Permalink. Did you look into your eyes in the mirror last week and say, “I love you”? Did you feel silly? Uncomfortable? Embarrased? If you felt any of the above, relax. You’re just human. It happens to all of us. We want to applaud ourselves. Tell ourselves the things we love most about ourselves, and some little primordial voice, some voice from the distant past that admonishes us to “Not be conceited.” “Don’t get too high for your britches.” “Don’t be vain.” wants to leap in and save the day (or at least our egos) by keeping us from shining our light bright. You are born to shine bright. The world needs our light to find its way out of the darkness. Keep shining. Keep celebrating the wonder of you. Who you are makes a difference. And if by some chance you don’t believe me, watch the video below about one teacher’s brilliance in 1988 continues to inspire light up lives today. 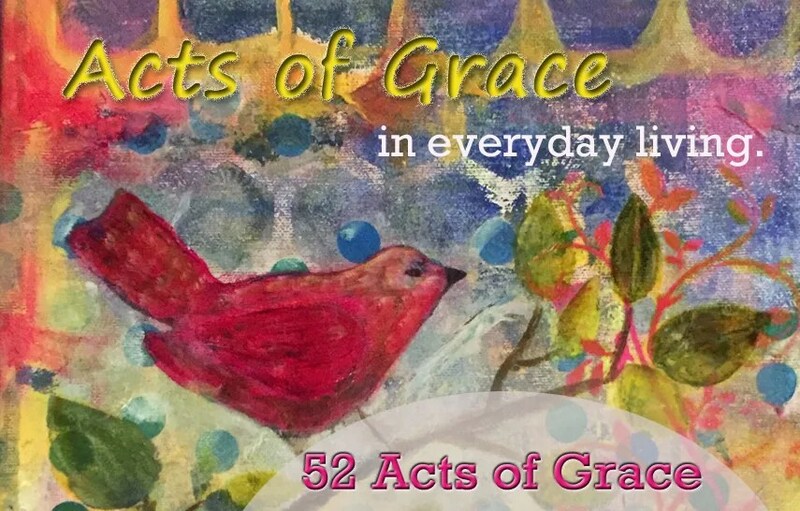 Categories: acts of grace | Tags: acts of grace, acts of service, shining bright | Permalink. My beloved returned from a week at Super Choices recently, excited, full of energy, on fire. It was exciting to feel and share in his passion, his thoughts and excitement about the possibilities for his life and our future. My expectations could have lead me down the road to resentment and been the trigger that turned me off from being present to all the possibility his excitement represents. Because… The thing is, I had been suggesting that he go for years. Every time I mentioned it though he would reply with something like, “Yeah. Maybe. I don’t know if that’s what I want. I’ll see about it.” And then, he has dinner with a friend he really respects and this guy suggests it and C.C. comes home and tells me he’s going. Bam! Just like that. Expectations laid bare and resentment raises its ugly head. And here’s what could have happened. In having asked him about going for so long, and getting the response of “I don’t know…” resentment could have grown. My critter-mind could have gotten busy telling me that he should have said yes to me! I’m the one who’s been asking. Blah. Blah. Blah. How come some dude who hasn’t known him anywhere near as long as I have and hasn’t been suggesting it for as long as I have and doesn’t know what he needs as well as I do, suggests it at dinner and Bam! Suddenly it’s a good idea? Fact is, I wanted C.C. to go for me. Fact is, he can’t go for me. He can’t even go for the friend who mentioned it at dinner. He can only go for himself. And that’s what he did. However, attaching expectations changes everything from being a shared ‘noble desire’ to an ignoble resentment within me. My expectations are made of my desire for him to go because I had ideas on what the outcome should be when he went. My expectations are made of my vision for what he would experience, how he would be impacted, how he would respond. And none of those expectations have anything to do with him. They have everything to do with me. Because ultimately, if I stuck with wanting him to go because I asked him and feeling dischuffed because it was a friend’s voice he ‘listened to’ and not mine, I would be acting out from a place of feeling invisible, not good enough, not important enough for him to do it for me. Consciously, I know I am good enough. I am worthy. I am visible and I matter to him. But in the crazy-making land of the critter-mind, none of that matters. Critter-mind only wants me to hear how insignificant I am, and how it’s all the other person’s fault I feel the way I do. If they had just done what I asked, wanted, needed to feel like I was visible and cherished and important enough to listen to, I wouldn’t feel the way I do. The land of the critter-mind is crazy-making. Which is why it’s so important to not hold expectations of what another will experience. We do not and cannot control how they will respond, how they will react. We can only hold space to share in their responses, reactions, experience in a loving, accepting and caring way. Critter-mind will always tell us it is ‘all about me’. It will always want us to try to control everything and everyone around us by expecting them to do what we want, when we want, how we want — so that we don’t feel afraid, less than, not good enough…. Fortunately, not giving into expectations of how another will respond or experience, leaves room for each of us to be accountable for our own journey. It also leaves space for the other to be accountable for theirs. In that space, possibility expands, intimacy grows and hearts open up to the beauty and wonder of all that we are when we let go of our expectations of how everyone and everything should be. In that space, the embers of expectations cannot find the air to flame up into a full blown firestorm of resentment. In that space, acceptance, gratitude and love create a sea of possibility for each of us to be the best expression of ourselves without fearing the other’s expectations of how we should be expressing ourselves and our experiences. This blog post originally appeared on the Choices Seminar Website Blog, Sunday, April 24th, 2016. A year ago today, C.C. and I stood with our children at our sides and in front of family and friends, were married. We held each other’s hands and looked deeply into each others’ eyes and spoke of our commitment to love one another, stand beside one another, and cherish one another, forever and a day. It was a perfect day. A perfect wedding. A perfect way to commit to be together, grow together and be together. As it always does, life has served up a whole potpourri of opportunities to grow and share and learn and become the ‘more’ of what we want in our lives separately and together. Here are 10 things our marriage has taught me over the past year. Love between two people doesn’t just ‘happen’. Love is everywhere. It’s true. Love is everywhere. In order to know its presence though, you have to be conscious of what it means to you to stand in its embrace and welcome it in. Be an active participant of making love grow stronger between you and within you. You gotta work at it. That’s right. While love is everywhere, we humans need to work at keeping it alive in our relationships. Choose Love over fear. Anger, resentment, fear will arise in every relationship. To ‘grow love’ we must consciously choose Love over anger. Love over being right. Love over fear. We must choose to choose Love as our answer to being together, being in relationship, being alive. You have to do things differently to make things different. This one sounds easier than it is. Too often we humans get married to our patterns of behaviour we’ve always used and still expect things to be different. You have to consciously choose to do things differently if you are going to change things up. If silence is your game, say the thing you’re afraid to say. If talking is your schtick, listen. Listen. Listen. Listen. Listen. Listen. No matter your schtick, don’t just hear with half a mind to what the other is saying. Listen deeply. Hear what is on their heart, hear what is keeping them awake at night, hear what makes them dance for joy. LISTEN DEEPLY. Don’t assume you know. Don’t assume like you already know the answer. Listen and hear what the other has to say. Marriage is a state of constant give and take, ebb and flow. You have to be flexible to be successful in marriage. You have to be willing to give up your position to create common ground. Don’t think in ‘winner/loser’, always strive for ‘win/win’ by being like a river, flowing around obstacles, over rocks, under bridges. Be constantly in the flow of Love that is your relationship. Always seek common ground. Like choosing love over fear, in Love, it’s important to always seek common ground. To find the ‘circle of two’ you are when you change your glasses with each other to see what the other sees knowing that within your own special circle of love, you are the only two people who matter. Play together. A lot! Dance your sillies out together. Sing the blues together. Run around and chase each other all over the house and just be happy and playful and silly together! Have fun together and let Love always be what you give one another the most. Plant seeds of love continuously. Which means, it’s important to always look through eyes of Love. No matter if you wear glasses, are just trying on a different pair of glasses to get a different point of view, always let Love be the filter through which you see one another. Remind one another daily of what you love about each other. Write a love poem and leave it on the other’s pillow. Leave a message of love in the other’s car to find when you’re not there. Let the last words you hear each day be, I Love You. No matter what, let ‘I Love You’ be the last words you whisper to one another every day. If you aren’t in the same place, phone, text, email, do what ever it takes to let your beloved know, they are the last person you are thinking of as you go to sleep. Which also means you must Never go to sleep angry. Yup. Make up before the lights go out. Whatever the disagreement, find the path to common ground before you turn the lights out. Do not go to sleep with angry thoughts of your beloved coursing through your mind. There is always a way to Love. Don’t let anger pull you from the path into the darkness of resentment. Always surrender, and fall into Love. 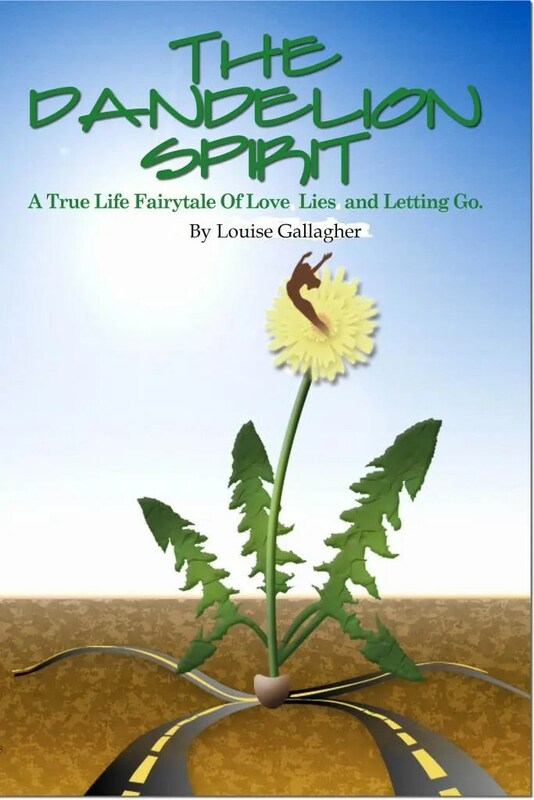 If the story you’re telling yourself about your beloved is not a loving tale, let it go. Do not hold onto the stories you tell yourself about who the other is, why they’re doing whatever they’re doing that’s driving you crazy, causing you hurt, growing your resentment. They are the one you Love. They are perfectly human in all their human imperfections. Just like you. You didn’t marry one another because you believed you would never have moments of distress, moments of discord. You married your beloved because their human imperfections are equally as fascinating as yours and probably a perfect match too! Let your imperfections create one whole Circle of Love. Let go of ‘the story’ and let Love be your guide. Here’s to many more lesson on what it means to Grow In Love. Categories: Marriage | Tags: Bench 1775, getting married at a winery, Naramata Bench wedding, wedding in a vineyard, what marriage taught me | Permalink. Ask Don’t Tell. The art and science of connecting to people. It’s pretty simple. If you want to connect with people, the first step is to ask a question. As them about who they are, what makes their heart beat, what gives them joy, what brings them peace, what inspires them when they get up in the morning. The second step is to listen deeply to their answers. Let them tell you what’s on their minds, their hearts, what’s rumbling in their tummies and stirring their possibilities. The third step to connecting to people is to repeat the above, again and again and again. So often, we step into a relationship and want to tell the other all about who we are, what we do, how we make a difference. And while that’s all very fascinating and interesting to us, they are more interested in knowing if we are interested in learning about them. To learn more about another, Ask Don’t Tell. And yes, reciprocity is important. We all want the other person to be as interested in learning about us as we are about them. How will you know if they are, however, if you give them everything you want them to know about you first? In talking about you first, you close the door to their curiosity, their desire to be seen and heard and known. You make it all about you and leave them out of the conversation. In asking about them, you open the door to understanding, connecting, seeing into the other through true intimacy or, “In-to-me-see”. How will you learn what is important to them if you tell and don’t ask? It doesn’t matter the circumstances, the next time you meet someone new, or someone you know well, for a coffee, a walk, a drink after work, a meeting, Ask Don’t Tell. And then, listen to their answer. Deeply. Look in their eyes when they speak. Lean towards them. Use the 97% of your communication that is non-verbal to show your true interest in their response to your question. You can ask them to ‘tell me more…’ many times. You can get even more creative as my beautiful friend, mentor, inspiring human being Patricia Morgan of Solutions for Resilience does. After their third answer, you get to tell them more… “All those things are so true about what I think is incredible about you. What else I think is incredible about you is…..” And then name all the amazing, incredible, inspiring, beautiful things you think about them. Believe me, they will be delighted to hear what’s on your mind about them! It always leads to a wonderful, heartfelt conversation where the other person feels seen and heard and celebrated and where both feel connected to what is at the heart of our human condition — knowing and seeing and believing we have worth in a world of wonder. Because let’s face it, the answer to who we are in the world, how we want to be seen often stays locked inside us because no one has asked the question: What makes you heart beat? What inspires you to get up in the morning? What do you do that makes a world of difference? Deep down, we all know who we are and when we learn our own worth, we learn how to navigate the world in new and inspiring and creative way. Knowing our own worth is important to how we navigate our world. Connecting and helping someone see their own worth is important to making the world a better place. In that connection, hearts connect and together, we make a world of difference. Categories: Essential Journey | Tags: Patricia Morgan, postaday, QBQ, Solutions for Resilience | Permalink.